“I was so glad to hear Julie Perry decided to re-release The Insiders’ Guide to Becoming a Yacht Stewardess completely updated and revised. This is the first book I read about yachting when I joined the industry and have kept it on each boat I’ve worked as a well-used reference. 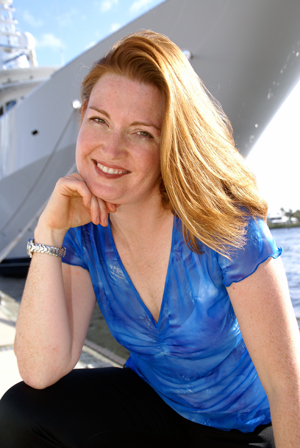 “Julie’s step-by-step of how-to-get-a-job-on-a-yacht and what to expect should be read by everyone entertaining the idea of jumping on board. She shares her first hand knowledge of what life is like on a yacht and what the job entails. “If yachting looks glamorous to you, BUY THIS BOOK! Julie tells it like it is and you will have a much broader understanding of what is required of you onboard after being hired. Her straight-forward, easy-to-navigate style on the page will walk you through the courses needed, who to talk to, where to go, and what to do to get hired. “Anyone looking to take their love of the sea and travel to a professional level should read this well-written and well-researched book. It’s chock full of great information and amusing stories of life as a crew member.